- Whitney was supposed to work a double on Saturday but was able to finagle her way into just working the closing shift so she was able to fit in a hike. We got up extra early and headed over to the Rocky Branch trailhead and jumped on the trail at 6:30 a.m.. 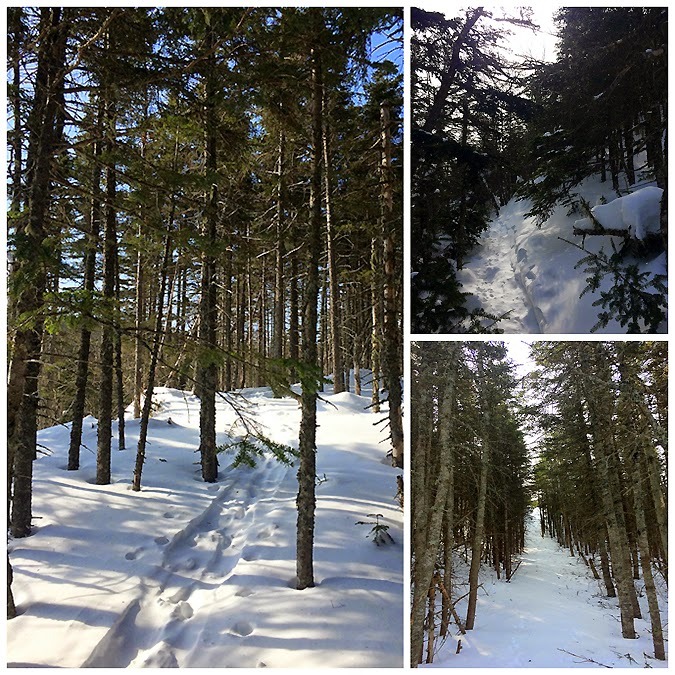 The reason for the early start was the unpredictable trail conditions, we knew the trail had been broken out on Wednesday but what we didn't know was if the track had been wind blown over through the birch glades or along the Davis Path. - The first mile and a half of the Rocky Branch is the crux of most of the steep stuff, which really isn't that steep, it's just a constant uphill climb before leveling off followed by minor ups and downs as it passes by the Dry River Wilderness Boundary and over to the 'T' junction for the start of the Engine Hill Bushwhack. 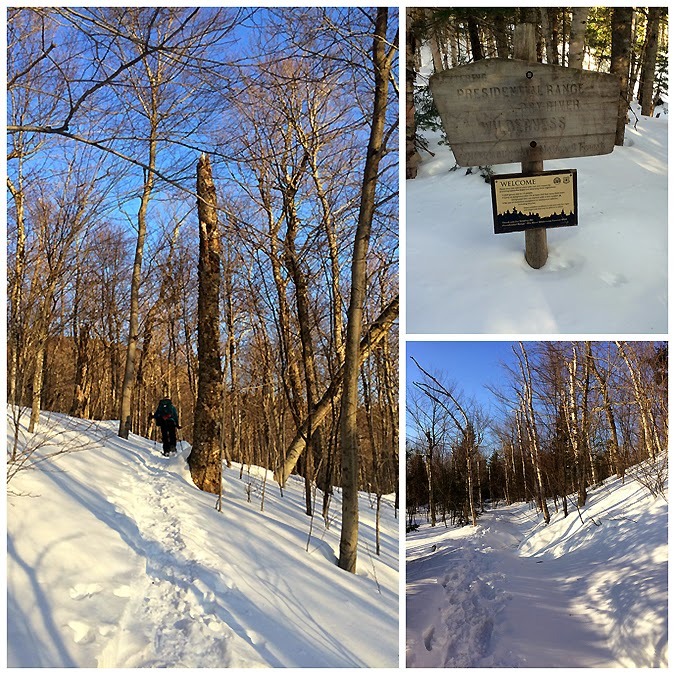 - The Engine Hill Bushwhack is taken in the winter for a few reasons, it cuts some mileage off of the whole route, bypasses river crossings, and most importantly heads through one of the finest Birch glades in the White Mountains. 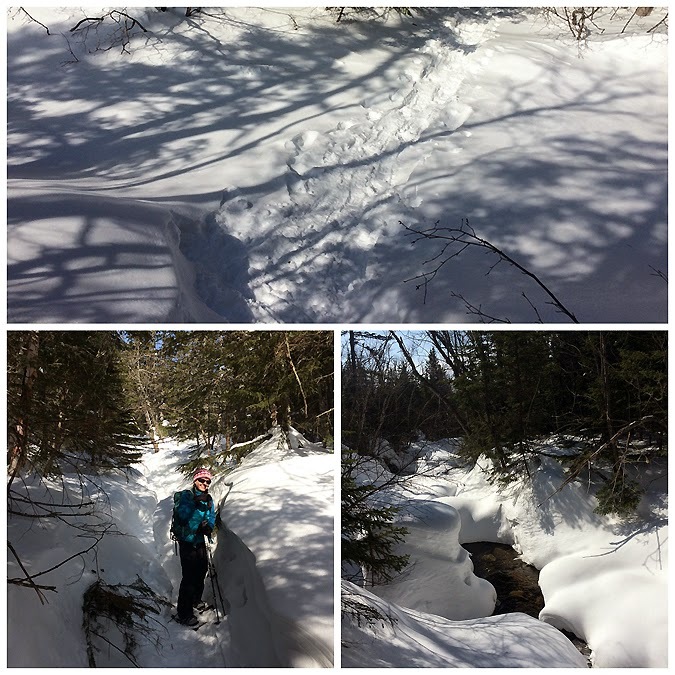 Luckily for us the tracks from previous hikers were only slightly drifted over in a few spots and we had no issues heading through the glades before dropping down to intersect the Isolation Trail. The whack popped out on the Isolation Trail lower than usual but it was still a good re-entry point as the Isolation Trail is easy hiking as it barely gains any elevation until after the last water crossing. - After the water crossings we made our way up to the Davis Path. 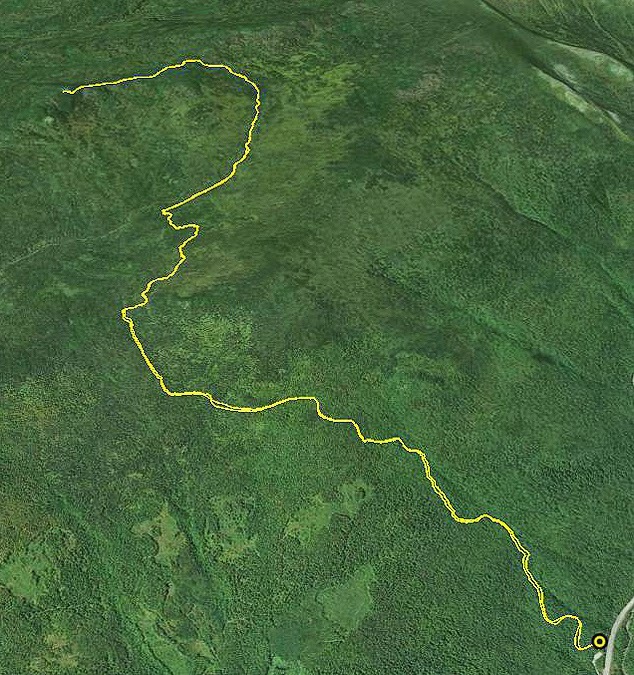 The packed trail we were on took a shortcut saving a few tenths of a mile in the process as it gained the ridge just south of the trail junction of the Davis Path. From here we made great time over to the summit as sun filled snow flurries fell around us. 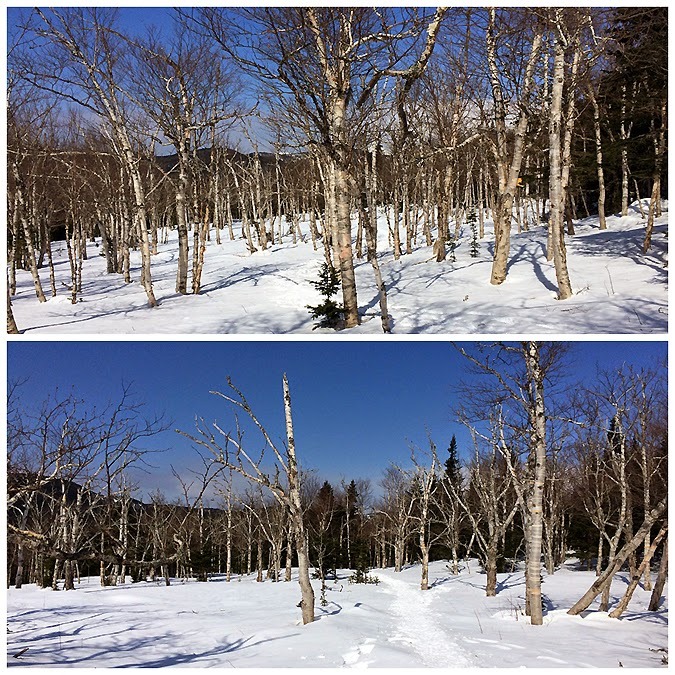 The snow pack on the Davis Path is so deep that it opened up some bigger views than there usually are. 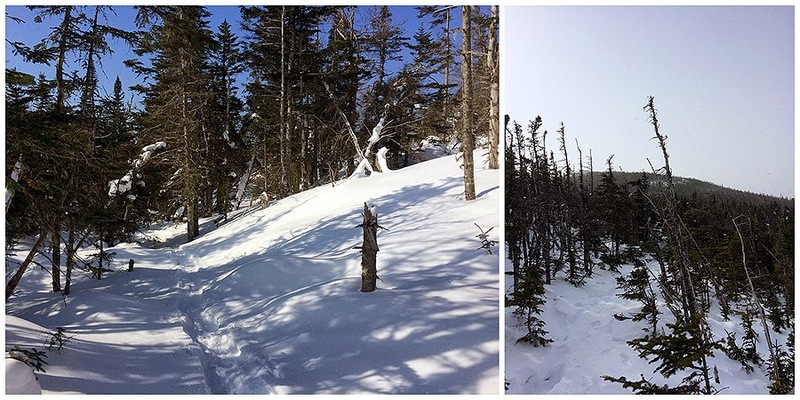 The only downside was the high snow pack meant tree branches to the face and arms. 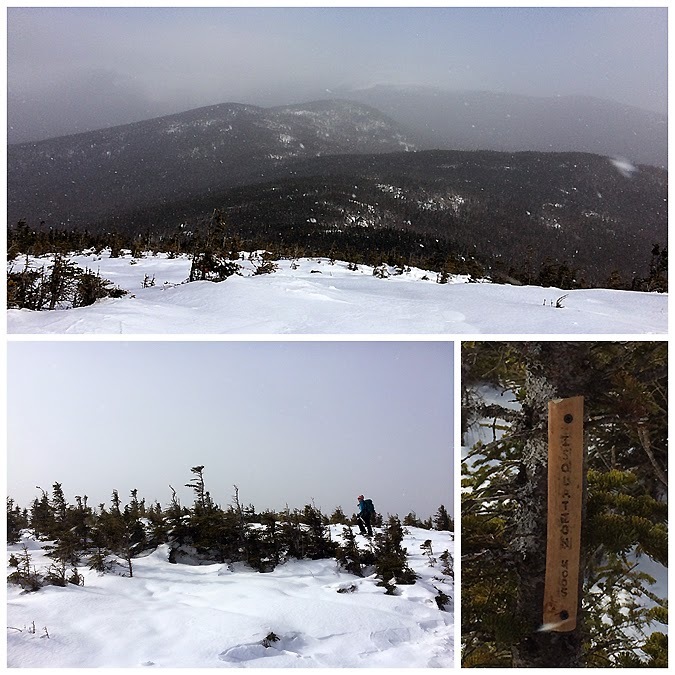 - It was a little windy on the summit but it wasn't too bad so we took a few pics, roamed around, and located the summit marker that is nailed to a tree. 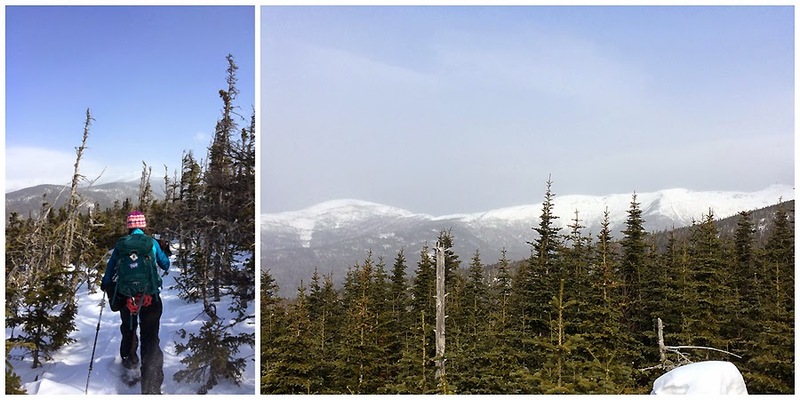 - The hike out was as good as it gets, we finally encountered other hikers as we hooked back onto the bushwhack. We ran into our friend Matt who was hiking with a group that were all enjoying the hike over to Isolation. 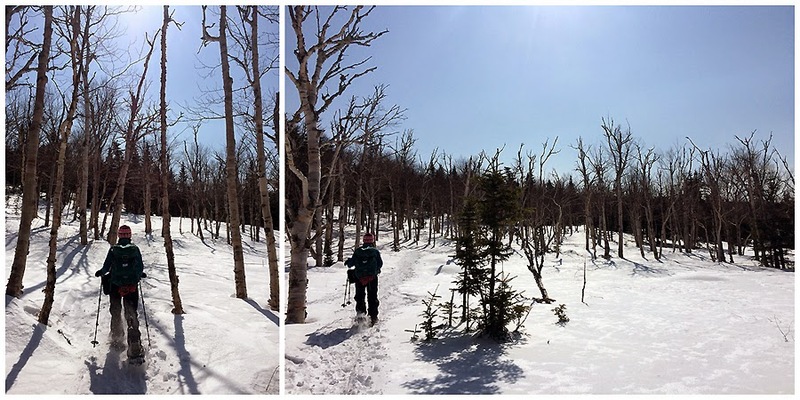 The walk back through the birch glades was one of the best ever, the sun was beating down on us, the wind was audible, and the views were excellent. 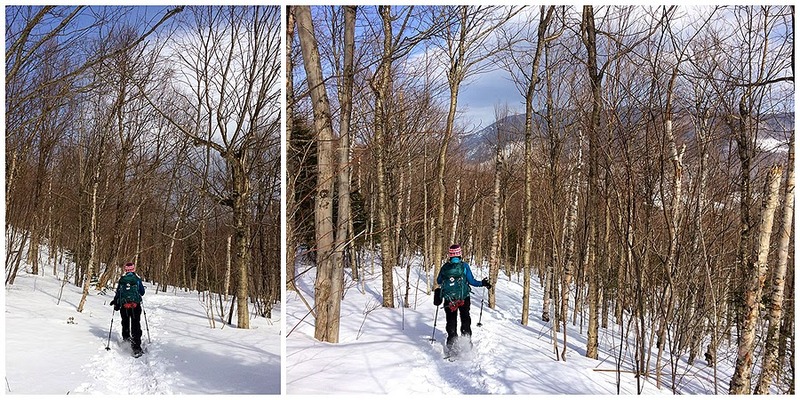 - Once we excited the Birch glades we beat feet back down to the parking lot, quickly stopping to chat with Franco who was heading up to enjoy the afternoon in the Birch glades on his way to Isolation, nice running into you again Franco! - We made it back to the trailhead at 12 p.m. as the temps crept over thirty degrees which almost feels like t-shirt weather since this has been the winter from hell frozen over! So this was going on at the Rocky Branch Parking lot at 6:30 in the morning! Love the old school plastic suitcases! Great report and awesome pictures! Thanks for posting!